Uma luz profissional não-lineares de edição de vídeo suite. NB: A licença fornecida é vida. Um profissional não-lineares de edição de vídeo em conjunto para a criação de um filme, de qualquer complexidade, a partir de uma família de cartão, um drone ou câmera, ação clipe na UHD qualidade para uma apresentação de negócios com uma grande variedade de gráficos e diagramas. Voz sobre - grave a sua voz em sincronia com o vídeo. Windows XP SP3/ Vista/ 7/ 8/ 10; Intel, Intel, AMD or compatible processor with the work frequency at 1.5 GHz or higher; Screen resolution: 1024x768 pixels with 16-bit color or higher; RAM 256Mb; Microsoft DirectX 9.0с or higher; 50 MB free disk space. The installation and activation of the program require Administrator permissions. An Internet connection is required to activate the Pro version. (2) VSDC PRO. Today's giveaway. I've used this software almost from the day it was first launched and yes, I have the Pro license (which still costs very little.) Today, it's free. And seems to offer lifetime upgrades. On which basis, anyone with the slightest interest in video editing should snap it up. It's beautifully engineered, mature, stable, competent, and like all the best technology out there has far more under the hood than is evident at first sight. I could likely provide several dozen tips here on how to use it but as neither time nor column space allow that, would instead suggest that users access the product manual (available to Pro users only) as a first step and then read through it. Yes, it has its faults in the way of some ambiguities and omissions but it's still a great help. Also worth emphasizing is that when working in the editing ('snip') mode, maximize the window to let it float on top of the GUI screen; don't leave it in its preview state, as I've actually seen some other people do. Remember, too, to slooooooow down video footage in snip mode so that the time intervals are clear enough to allow effective editing. . . and remember, also, to ensure the mouse-controlled editing markers are firmly in place in 'start' and 'end' positions so as to ensure accurate cutting. Stuff that's edited out will be listed cut-by-cut in a separate panel; cuts are only permanently removed when the user requires that. It's also well worth visiting YouTube for VSDC tutorials and downloading them, because the total out there is considerable -- some pretty awful, as to be expected, but many that are very useful indeed and easy to follow. Thanks then, GOTD, for today's offer, but as I'm already a longterm VSDC user, I'll pass. Others interested in this software genre though who don't have VSDC Pro should seize it with both hands. I'm not going to add to the dozens of comments on here which have nothing at all to do with the actual <b><i>performance</b></i> of today's giveaway. Instead, I'll say this: (1) in the world of home video editing, Cyberlink's PowerDirector is king. Well, it is as far as I'm concerned, and I've lost track of the number of video editors that have passed through my hands over the years. But PowerDirector is BIG. And PowerDirector isn't cheap. 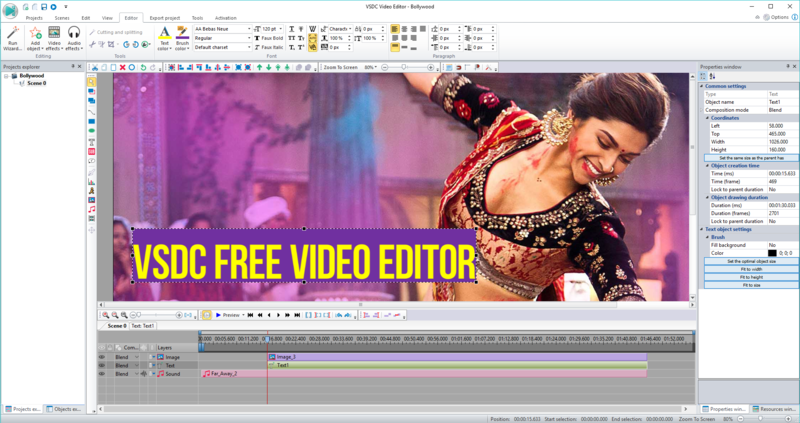 And PowerDirector is to video editing what Adobe CS is to photo editing: it has features more suited to specialists rather than everyday 'ordinary' users. In which case, what to choose? Answer: (2) VSDC PRO. Today's giveaway. I've used this software almost from the day it was first launched and yes, I have the Pro license (which still costs very little.) Today, it's free. And seems to offer lifetime upgrades. On which basis, anyone with the slightest interest in video editing should snap it up. It's beautifully engineered, mature, stable, competent, and like all the best technology out there has far more under the hood than is evident at first sight. I could likely provide several dozen tips here on how to use it but as neither time nor column space allow that, would instead suggest that users access the product manual (available to Pro users only) as a first step and then read through it. Yes, it has its faults in the way of some ambiguities and omissions but it's still a great help. Also worth emphasizing is that when working in the editing ('snip') mode, <b>maximize</b> the window to let it float on top of the GUI screen; don't leave it in its preview state, as I've actually seen some other people do. Remember, too, to slooooooow down video footage in snip mode so that the time intervals are clear enough to allow effective editing. . . and remember, also, to ensure the mouse-controlled editing markers are firmly in place in 'start' and 'end' positions so as to ensure accurate cutting. Stuff that's edited out will be listed cut-by-cut in a separate panel; cuts are only permanently removed when the user requires that. It's also well worth visiting YouTube for VSDC tutorials and downloading them, because the total out there is considerable -- some pretty awful, as to be expected, but many that are very useful indeed and easy to follow. Thanks then, GOTD, for today's offer, but as I'm already a longterm VSDC user, I'll pass. Others interested in this software genre though who don't have VSDC Pro should seize it with both hands. This is a permanent license, but it will be a limited license. You should not have the right to receive updates free of charge. Downloaded via the non-facebook route. (aka: Email direct link) Had to delete the previous version. Easy install instructions on "Read Me" file. Clicked for activation code and received it fast via email. Activated quick and easy in less than 10 minutes. (actually less than 3-4 min. for me!!!) Installed and activated on my HP Pavilion Laptop, Win 10, version 1803, AMD 10, 10 core 64-bit op, via WIFI. 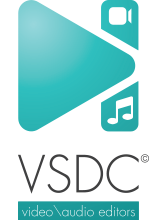 VSDC Free Video Capture and VSDC Free Screen Recorder. As I said I had an older version and when starting the new version it prompted me to uninstall it and did it for me quickly, all but the desktop shortcut. While I have not got to use this version yet, I expect it to be as nice and as well built as previous one. Which I liked very much. 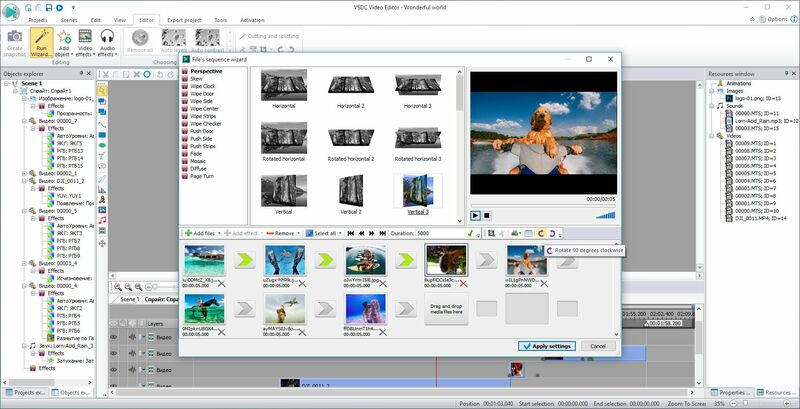 I definitely would suggest this program to anyone wanting a nice video editor platform for home (kids, family, sports), school (events, projects, college class recording if allowed) AND office (reports, displays, projects). It has many features that come in handy. It does what a lot of High Priced "Big Named Editors" can do and just as fast. I give it a solid 4.5 out of 5!! Thanks to GAOTD for bringing this back. And a big thanks to Flash-Integro for coming back with this newer version. The developer is fixing the issue with key getting. I get the impression that whenever a very good program (like today) is offered on GAOTD, competitor software companies send their 'foot soldiers' here to 'trash' the program as much as possible. I ignore negative comments....after all if I don't like a program after trying it.......the answer is simple. Uninstall! I get the impression that whenever a very good program (like today) is offered on GAOTD, competitor software companies send their 'foot soldiers' here to 'trash' the program as much as possible. I ignore negative comments....after all if I don't like a program after trying it.......the answer is simple. Uninstall!